Our newest site, Greenhouse Mortgage is live. The team at Greenhouse originally came to Visual Realm for logo design. After coming with a sleek logo and brand package design, Greenhouse Mortgage wanted to move forward with the design and development of their new web site. 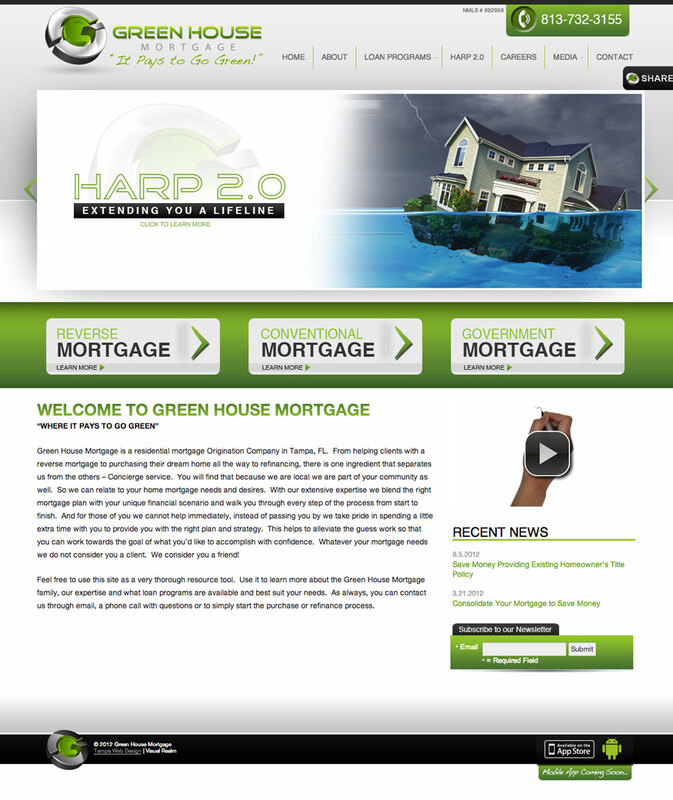 The web savvy owners at Greenhouse Mortgage wanted a web site that combined the easy integration of online marketing, email marketing and social networking with the ability add pages and functionality in order to keep up with the every changing and growing web. To view the Greenhouse Mortgage site in it’s entirety click here and to view more of Visual Realm’s recent work and web sites in progress please visit our portfolio here.